2013, 2014, 2015, 2016, 2017 & 2018 Northern California Super Lawyers. 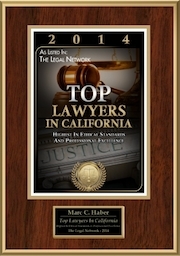 California Law Review, Associate Editor. American Jurisprudence Award-Criminal Law; Moot Court Best Brief. American Jurisprudence Award-Criminal Law; Moot Court Best Brief. University Honors; High Honors in Political Science. Assisting investors to recover losses has long been and will continue to be a focus of Mr. Haber’s securities law practice. Since 2005, Mr. Haber has successfully represented investors in litigation against Toronto Dominion Bank, Deutsche Bank Securities, Inc., Citigroup, Morgan Stanley, UBS, and J.P. Morgan. In 2006, he was a key member of the Sparer Law Group legal team that obtained a $5.8 million arbitration award in a case involving improper marketing of CDOs and other structured securities investments. In the same year, that team also obtained settlement in excess of $3 million for investors in cases involving overconcentration in high risk stocks. Mr. Haber has also helped investors recover large losses relating to structured products, auction rate securities, and zero coupon bonds. Mr. Haber is currently a member of the SLG team serving as lead counsel in a class action filed against the managers of the Oppenheimer California Municipal Bond Fund. The lawsuit seeks to recover damages as a result of misrepresentations and omissions regarding the objective and risk profile of the Fund, which lost over 40% of its value in 2008, making it the worst performing single state municipal bond fund in history. Mr. Haber also has represented financial service providers and investment funds in response to investigations and enforcement actions brought by governmental regulators who oversee securities professionals, including the SEC, FINRA, and California’s Department of Business Oversight. Mr. Haber has vigorously defended brokers, investment advisors, and hedge fund managers in actions by individuals and governmental agencies and, where necessary, has crafted creative solutions that have protected and advanced the interests of both investment professionals and their investors. 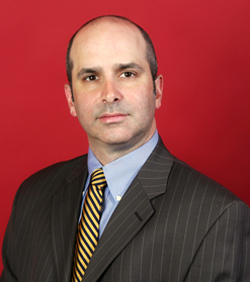 Mr. Haber’s practice has also included representing individuals, companies and institutions involved in a wide range of general litigation matters, including breach of contract, business valuation issues, environmental and land use regulation, trade secret disputes, and real estate partnership litigation. He was a member of the team that successfully represented the City College of San Francisco in multiple lawsuits over its plans to site a new campus in San Francisco's Chinatown/North Beach district. Before joining Sparer Law Group, Mr. Haber was a member of the team that successfully represented investment banker Frank Quattrone before the NASD regulatory authorities in enforcement actions relating to the alleged unlawful “spinning” of IPO shares and flawed research analyst reports. His earlier business litigation experience also includes defending R.J. Reynolds Tobacco Co. before the California Supreme Court and the Marshall Islands High Court, and representation of DirecTV in a consumer contract action.